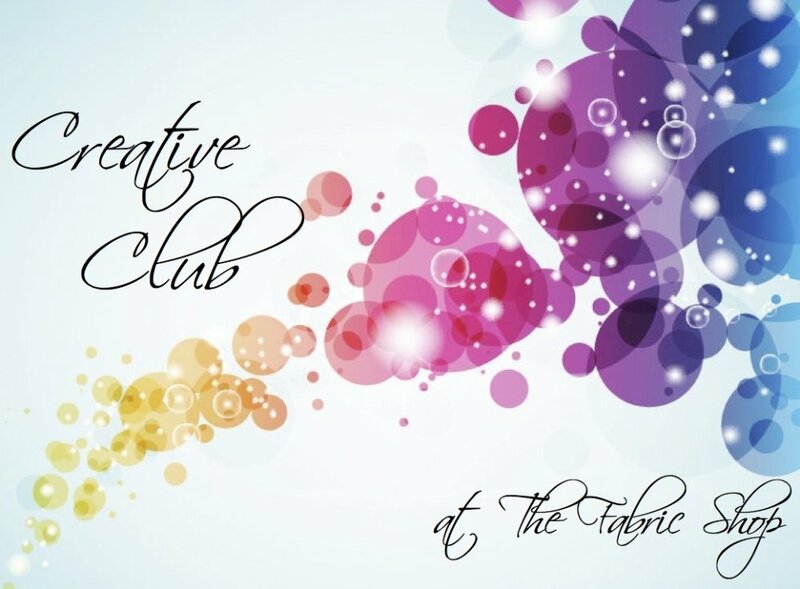 Sign Up today for our once-a-month party we call Creative Club! Creative Club usually meets on the first Friday of every month but we will deviate from Friday some months in order to bring in some awesome guest teachers! We will meet 9 times, from September 2018 through May 2019. We will have a special speaker in each month to inspire our creativity in addition to our usual "show and tell" and Shop announcements. At each club meeting members will receive a $20.00 Gift Certificate to The Fabric Shop to be used that day. Skill Details: All Skills Welcome!